Ukraine began negotiations on the release of the hostages remaining in the territory of the ORDLO, Iryna Lutsenko, the representative of the President in the Verkhovna Rada, informed. She noted that the militants confirmed information about the presence of more than 20 Ukrainians in their captivity. "Negotiations are continuing, I could not say that 93 people will be on the list, at least 23-25 people have already been confirmed by the separatists, they are ready for an exchange," Lutsenko stated. Lutsenko stated that Poroshenko is working on the returning of Ukrainians convicted in the Russian Federation. “For this purpose, Russian prisoners are preserved as an additional card, as a serious argument to exchange Russian citizens for our citizens who are in Russia. This strategy is being developed and will be seriously implemented," Lutsenko stated. QHA reported that the First Vice-Speaker of the Verkhovna Rada Iryna Herashchenko announced Ukraine's readiness for the second wave of exchange of prisoners. As we known, December 27, the exchange of detained persons took place in Donbas. This is the first and the most extensive exchange in two years. According to the SBU, 73 hostages returned to the controlled territory. 16 of the Ukrainians were held captive by militants of the "LPR" terrorist group, 57 of them were imprisoned in the occupied territory of the Donetsk region. Ukraine transferred 233 people to the occupied territory. 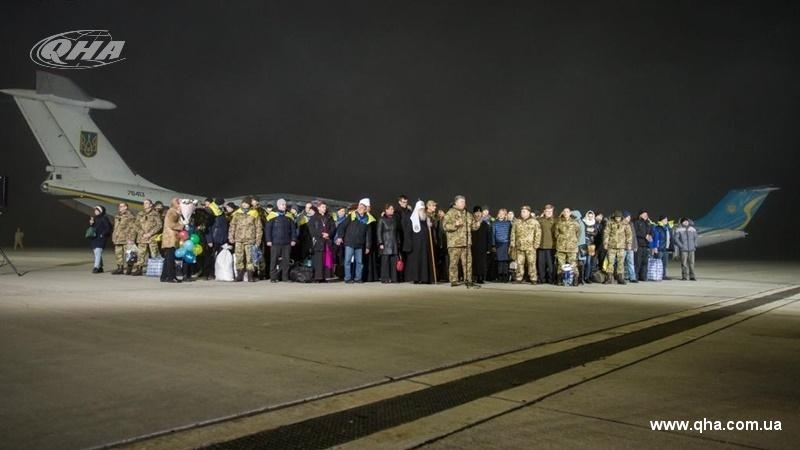 The plane with the Ukrainians liberated from the captivity of the ORDLO fighters had arrived at the "Boryspil" airport on December 28, at approximately 00:25. At the airport they were met by hundreds of people. President of Ukraine Petro Poroshenko promised in turn, to release the remaining prisoners as soon as possible.